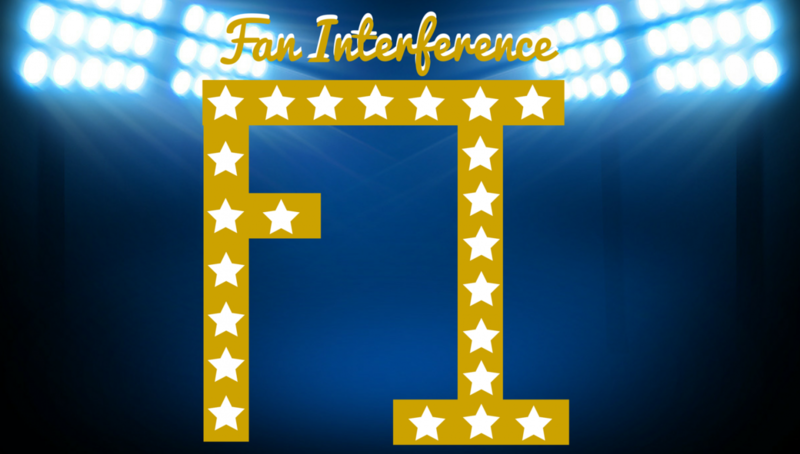 Fan Interference | We peaked in high school, so now we blog. When you sit down in the comfort of your own home and tune into an already-in-progress sporting event on television you expect a couple of things. For starters you expect to be entertained, enthralled, and emotionally invested. However, through the process of instant replay you can probably add confusion to the short list of expectations featured above. How many times have you watched an NFL game and sarcastically joked with your friends or family “I guess I don’t know what pass interference is anymore”. Or in the NBA “I guess breathing on him is a foul now a days”. Well, begrudgingly I can now add the NHL to that less than fabled list, because I no longer know what is or is not a good goal anymore. In the playoffs especially, the officials are there more as representations of the rule book, rather than the brute enforcers of the law. However, this may no longer be the case as the speed of the NHL playoffs and its bizarre relationship with the officiating have hit a fork in the road. Prior to the 2015-16 season a brand new rule was implemented, allowing the head coach to challenge whether or not a goal should count. Now, there’s criteria that needs to be met, the goal has to have resulted in a questionably offside play by the attacking team, or a missed goalie interference call. Albeit their mind was in the right place. When you consider time and time again questionable goals from years prior didn’t receive the attention they deserved. Exhibit A: Blatant goal tender interference. Exhibit B: Famously textbook offside play goes uncalled, for whatever reason. Now it should be noted that both of these situations are examples where having the ability to challenge the play would have paid off in spades. This is not always the case. In fact sometimes perfectly good goals are wiped off the board for an infraction that had nothing to do with the end result of the play. I am, of course referencing offside calls. Nothing, and I truly mean nothing brings a perfectly good game to a sketching halt more than an unnecessarily lengthy review searching for the slightest inkling of an offside infraction. Exhibit C: Goals being taken away well after the infraction only hurt the game. Furthermore with the years of experience that comes with being an NHL official, one that is presumably well versed in the updates that come with the rule book. Wouldn’t you be able to come to the conclusion that JG Pageau undeniably covers the puck in the crease preventing a goal in over time of a playoff game? Need I remind you, that is in fact frowned upon and should have resulted in the very least as a delay of game penalty not to mention a penalty shot. Apparently not, as neither of those calls came to fruition. This came after it was reviewed by the officials. Despite the lack of transparency one former official weighed in his take on the play. On top of that, Noel Acciari whom appeared to have scored to end the game earlier in overtime. Later he sat dumbfounded when the goal was taken away due to a fluky goaltender interference call. The review process lasted around 5 minutes. I’ll admit this as dramatic an example as there is. Loopholes in the rule book can be found in rare situations in sports. But one must wonder has putting every play under a microscope helped or hindered hockey? While there was plenty of good that came with the inception of this new rule, its also caused its fair share of damage. Perhaps allowing a coach to possess too much power over the game. In return causing the officials to question their judgement and rely on the grace of instant replay far too heavily. According to the NHL Public Relations twitter account on 4/30 we’ve had 19 games this playoffs that needed overtime to determine a winner through 50 games played. During the entirety of last seasons playoffs just 20 games needed overtime through 90 games played. In a league whose major critique of themselves is a lack of offense, they appear to be doing a lot to maintain the status quo. Much attention needs to be diverted to this rule in the coming off season, to the benefit of the sport itself. You cannot allow a questionably offside play, upwards of 30 seconds in the past rule out a perfectly good goal on the ice. Especially when the major concern of the league is finding a way to manufacture more offense. The NHL dug themselves into this hole, it’s up to the to pull themselves back out again. While Sunday afternoon’s game 6 against the Ottawa Senators ended in heart breaking fashion, Boston rebounded hard Wednesday. The news came in the early morning hours that the “interim” tag on Bruce Cassidy had been lifted, becoming Boston’s 28th coach. Shadowing Claude Julien until February 7th, when the club relieved the tenured bench boss of his duties and in turn promoted Cassidy. Whom made the Jacobs family look genius by going 18-8-1 down the final stretch, good enough to earn them a playoff spot. Cassidy is anything but a one trick pony, after a solid playing career he’s been behind a bench since 1996. Twice prior coaching at the NHL level, but it was his efforts for the Providence Bruins that solidified his position. A familiarity with the core of younger players definitely doesn’t hurt. With the promotion comes a lot of responsibility. Defensively Boston needs to upgrade their staff, this includes whether or not an extension for long time captain Zdeno Chara. A task made all the more difficult when considering that this off season is the expansion draft. With the emergence of Charlie McAvoy and Brandon Carlo there may be less of an incentive to hold on to the aging veteran. While Boston’s exit from the playoffs wasn’t picture perfect we should expect many more trips in the future. As the NBA and Stanley Cup Playoffs swing into full gear, boxing is coming in with consecutive weekends consisting of very good fights. This Saturday’s fight features Shawn Porter (26-2-1) and Andre Berto (31-4-0). With Berto coming off a knockout victory over Victor Ortiz in his last fight, he looks to build momentum and try and gain relevance in his division again. Prior to the Ortiz fight, Andre Berto fought Floyd Mayweather and narrowly lost in a fight which he was just out skilled. In Shawn Porter’s recent fight, he squared up with an undefeated Keith Thurman. This fight went the distance and overall was an amazing fight. These two exchanged serious blows with each other, but ultimately, Thurman won the unanimous decision. Prior to that, Porter also faced Adrien Broner which was a fight some considered him an underdog. Porter controlled the entire fight and aside from being knocked down in the last round he still promisingly won on the score cards. This fight is going to feature two fighters who have recent losses and desire to regain respect in their weight class. I’d expect to see these two exchanging a lot of punches because they’re both aggressive fighters who are tough competitors. This fight is highly anticipated and could get the attention of attracting maybe a big future fight with other big name fighters. Both of these fighters have a lot to prove Saturday night, this is a big time fight. Marshawn Lynch agreed to terms with the Oakland Raiders last week to un-retire from the NFL and play once again. This doesn’t necessarily mean anything will happen, as Seattle has to agree to trade Lynch away to Oakland while Oakland has to be okay with trading away assets for the aged star running back. For many in Oakland, seeing Lynch play in the Raiders’ black uniforms is like a dream come true. Lynch’s role in Oakland would be much less than his in Seattle, as we saw in his last year he no longer can be the workhorse that he once was. Oakland, choosing not to sign running back Latavius Murray this off-season, opted to move to running back by committee instead of having a lead guy. So Lynch would have a much reduced role and still be able to carry the pride of a team as well as the city he is from. Expect Lynch to play a lot less snaps and rotate with Washington and the other Oakland running backs. Perhaps having veteran leadership in the backfield on a team without much veteran presence on offense (save Michael Crabtree perhaps) is a great idea. It’ll be much easier for stars like Carr and Cooper when they have an old head telling them what to do in tough situations both on and off the field. For Lynch and the Raiders, this is a win-win. For Seattle, hopefully they can receive enough return that they will want to make this trade. Lynch returning to Seattle likely isn’t an option at this point. They could use help on the offensive line, an area where Oakland exceeds. Maybe a rotational lineman for a rotational running back would make sense here, it’s likely they don’t give away one of their star lineman. Time will tell for Lynch and the Raiders if the hometown kid can be a hometown hero for the Raiders’ last few years in Oakland. College hockey is a sport like no other, where you can get drafted and return to your school. I’m looking at Charlie McAvoy of Boston University getting his shot at the big time. McAvoy was a top pick of the Bruins in last year’s NHL draft and has made an immediate impact on the Bruins. Boston, plagued by injuries, was forced to drain a year of the kids entry level deal. A move that was crushed by many has actually panned out. It’s truly unbelievable what this kid can do with the little pro experience he has. This has happened before actually with another Boston product. It previously occurred with Chris Krieder of B.C. when he debuted for the New York Rangers. Krieder, like Charlie, was an immediate player for the Rangers and made a splash in the playoffs against the Ottawa Senators. Teams who have players like this cannot always take these chances. But to me, it shows that teams in the Boston area for college hockey really know how to groom their guys. Groom them to the point where in one year, they can get up to the next level and make a big impact. This to me why other college sports could take note of this. Maybe these players, if given the opportunity, could stick around and gain the valuable experience needed to rise to the occasion at the pro level.